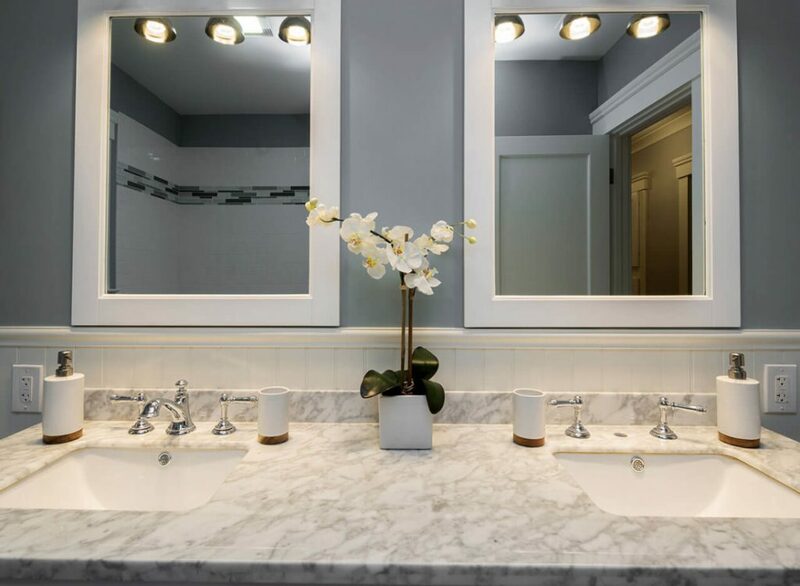 Bathroom countertops serve a variety of purposes from holding your towels, soaps and lotions to looking beautiful. Whether you are only replacing your countertops or planning a remodel of your entire bathroom, you need to understand the most common options. Here is a look at three materials you can consider for your countertops. Bathroom tiles are a beautiful way to create patterns and focal points. A tile countertop is a unique way to use this material. It is important to clean tile regularly to prevent buildup of dirt in the grout. Some kinds of grout also need to be resealed from time to time. Because marble is porous and stains easily, it is more common in a bathroom than in a kitchen. The only thing to watch for is excess moisture. Keep your countertop dry to avoid water stains. A marble countertop, well cared for, can last a long time. Quartz is an elegant way to single out your bathroom among others. While this can be an expensive option, you can save money by only using quartz bathroom countertops in the master bath. Splurge a bit to give yourself a beautiful spa-like atmosphere. Man-made materials are usually less expensive as countertop options. One such synthetic material is laminate. This material comes in a variety of colors, some natural and some quite daring. Off-white laminate is great for a small half-bath or you can go for bright pink to make a guest bathroom stand out. Choose your bathroom countertops based on the style you want and your budget. If you decide for materials just out of your price range, spend a few extra months saving toward your remodel. Having a professional involved in the process means you can find out everything you need to know about price and practicality for your material options.